Christopher Pike: Archiving due to missing owner and unable to comply with current guidelines. Cache will be replaced with GC32NZD. 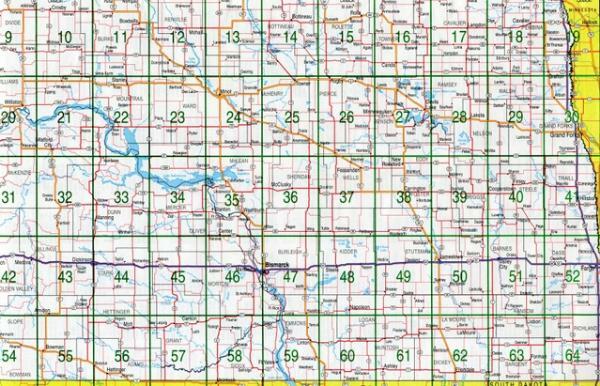 The posted coordinates are for the State Capitol in Bismarck. The cache is some distance away from these coordinates. In addition you will need to travel throughout the state to complete this cache. To claim a find fifty-six other caches must first be found. The terrain rating and the attributes are for the final cache location. The final was hidden by Dakota Cachers! A DeLorme Challenge cache is a cache requiring the seeker to find other caches across an area or a state. In this case the state of North Dakota. In 2004, Haicoole created the first of these types of caches, the California DeLorme Challenge cache. Since then this type of cache has been duplicate all across the country. The DeLorme Atlases have been published for all 50 states and are widely available. The map below is taken from the North Dakota DeLorme Atlas and Gazetteer. The final coordinates for this cache will not be given until the cacher has found a cache on each page of the Atlas. Please see the “Additional Logging Requirements” below for more details. All Geocaching.com guidelines for finding a cache apply to all finds for this challenge. All caches claimed toward this challenge must be listed on Geocaching.com. You must have physically found each cache and signed the log therein. You may use caches found before the publication of this challenge to include archived caches as long as they meet all other requirements. The posted coordinates for each cache will be used to determin in which state or on which page a particular cache is located. Only caches in North Dakota will be eligible. 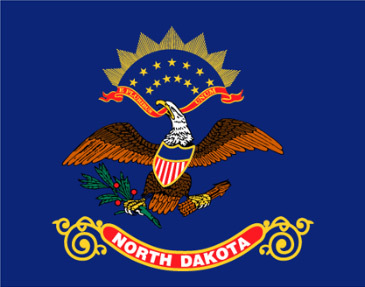 For the pages that include areas not located in North Dakota, only that portion that is within North Dakota will be considered. For multi and puzzle caches the posted coordinates will be used to determine the location of the cache no matter where the final point is. Only those who have fulfilled ALL the additional logging requirements for this cache will be allowed to log it as a find. All other find logs will be deleted. Your list will be check to insure that all the finds meet the above stated requirements. Please allow up to one week for this. All claims will be examined in the order received. 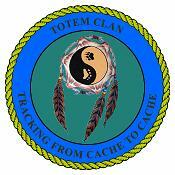 Once the finds have been verified you will be sent an e-mail with the coordinates for the final cache. The find cannot be logged until the physical container is found and the logbook inside is signed. If you wish to take the challenge, please post a note on this page. Also please make your bookmarks for the challenge public and shared. That way other geocachers can see how you are doing. Make sure you include this cache page in your bookmark so that it will be seen here. Many thanks go out to Haicoole for the original idea for this cache and to the owners of other DeLorme Challenge caches, especially The Pennsylvania DeLorme Challenge version, from which we have borrowed very liberally.